SCT is accredited by Destination Marketing Association International. Fewer than 20% of world wide organizations acheive this. Sonoma County Tourism is the official destination marketing organization for California's Sonoma County. SCT is a private, non-profit marketing and sales organization dedicated to promoting overnight stays and creating a sustainable hospitality economy in Sonoma County, California. Located 30 miles from San Francisco, Sonoma County provides a genuine and adventurous wine country experience. With a staff of sales, marketing & public relations, communications, and administrative professionals, Sonoma County Tourism promotes Sonoma County as a desirable overnight destination to three main markets: leisure, meetings and groups (including weddings) and tour and travel. 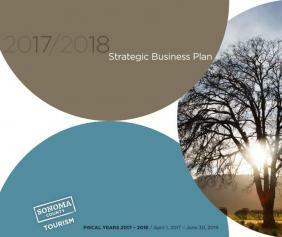 Sonoma County Tourism is delighted to present its FY17-19 Strategic Business Plan. This plan identifies the priorities for the organization over the next two years and lays the foundation for long-term programming. Through the work of the Board of Directors and with input from stakeholders, the plan identifies six key initiatives: Drive Overnight Visitation, Create and Convey Value, Enhance Partners/Partnerships, Spearhead Long-term Destination Planning, and Run an Effective Business. The plan is designed to help the organization achieve its vision of A robust economy for Sonoma County businesses and residents amplified by results-driven tourism planning and marketing. Please review the plan – you’re feedback is welcomed!